This feature comes in very useful for sellers who are not able to combine shipment their items due to item is too heavy, or too light. These poor sellers were not able to enjoy the feature of the combine shipping feature previously. We came out with a functions to exclude these items from Combine Shipping. The feature is only available if you have activated your Combine Shipping Plugin. If you have, you will see this option available when you post an item. The fixed shipping fees cannot be left blank. You need to fill them up. Product Exclude Combine Shipment – Shipping rate will appear as per updated in product posting. 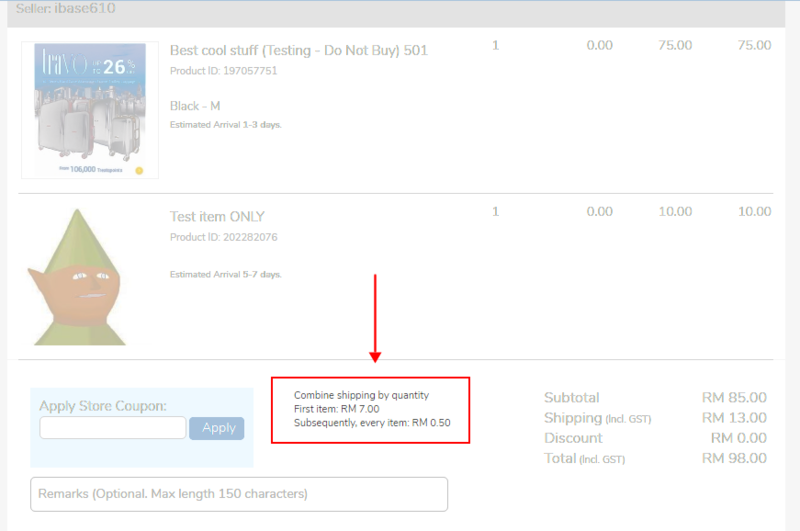 During checkout if a product is excluded from Combine Shipping, in calculating shipping fee, the product’s weight (if combine shipping by weight) will be excluded from total weight, or it’s quantity (if combine shipping by quantity) will be excluded from total quantity. And, will use the fixed shipping fee. Item B: Story Book – exclude combine shipping. So combine shipping only calculate for item A, Item B will be charge as per updated.